Exciting day camps for kids in JK through Grade 6.
of teaching martial arts to Kitchener / Waterloo families just like yours. Designed to give you the best training experience. Make Cardio Kickboxing part of your Healthy Lifestyle. Welcome to Driftwood Martial Arts. Karate programs for everyone, from 3 years old to adult. All fitness levels are welcome! Martial arts classes are more than exercise. They empower us to protect ourselves, build inner and outer strength and give us confidence, clarity and discipline. Because of their focus on building strong bodies and minds, martial arts are an effective way to manage stress, boost energy, lose weight, achieve mental focus and enhance personal safety. Five Stars! Very well established karate school. I’m very happy with teachers, facility and over all atmosphere. If I could give more “stars” in my review I would! More Than Punching & Kicking. Discover the added benefits of karate training at Driftwood Martial Arts. 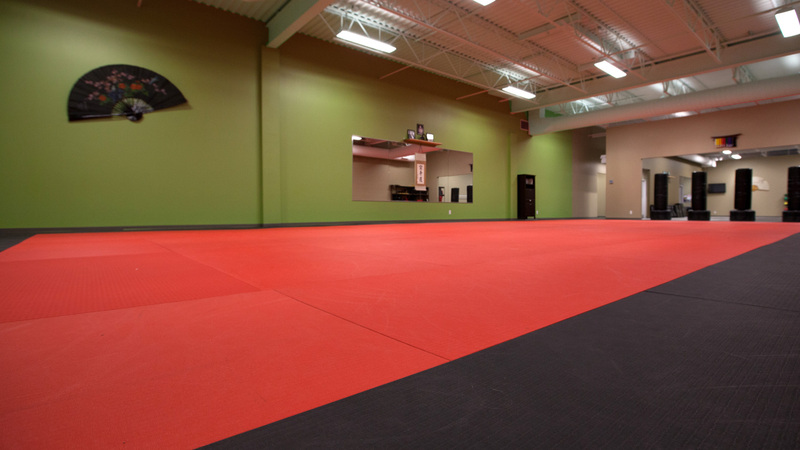 Built from the ground up for Karate featuring large training areas with all of the amenities. We’ve been voted the best by you in the Readers Choice Awards from the Kitchener Record and Post. Driftwood Martial Arts has taught thousands of students over two decades. Sign up today and find out why. Have questions about our programs or want to book an appointment for a tour our to register? Leave us a message and we’ll get back to you within 1 business day. Our goal is to develop a passion for self-improvement that will continue to inspire students throughout their lifetime. We strive to raise the standards for martial arts instruction and professionalism and encourage our students to raise their own expectations for success. *No Admin Staff on Sat.